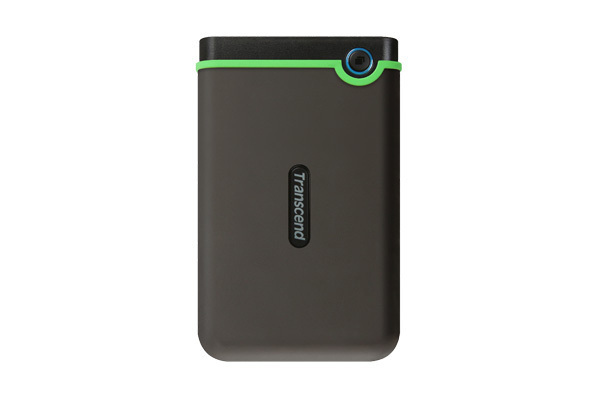 Paklap offers the lowest price of Transcend 1TB storejet external hard drive in Pakistan with an option to pay your amount at the time of delivery. Just click on the Buy Now button and place your order now. The StoreJet 25M3 portable hard drive is implemented with the next-generation SuperSpeed USB 3.0 interface that produces transfer rates at least three times faster than USB 2.0 models. It makes file sharing simpler and swifter than ever with transfer speeds of up to 90MB per second. Compact, long-lasting and safe - StoreJet 25M3 is guarded by an exceptional three-stage shock stability system to resist even the worst user settings. 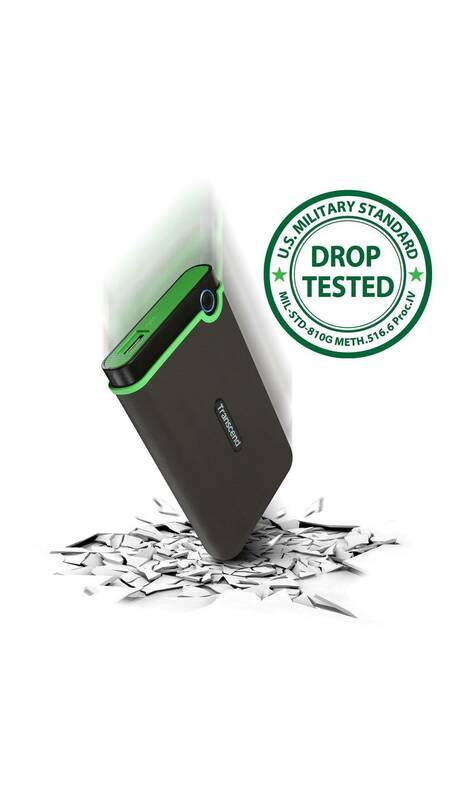 The outer case is constructed of a slip-resistant silicone rubber, augmented by a robust casing and an inner hard drive suspension damper – all intended to overcome forces of collision and present highest shock-absorption. 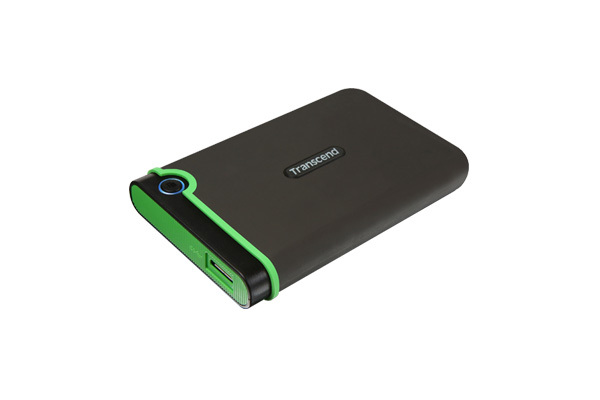 The Transcend StoreJet 25M3 is equipped with a remarkably convenient One Touch auto-backup switch for quick synchronization and data backup. This hard drive comes with a one year of international brand warranty. Get it delivered to your doorsteps by placing an order at www.paklap.pk.